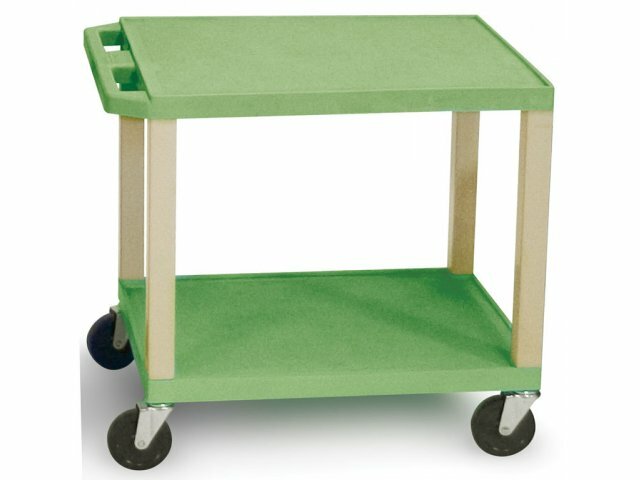 These durable plastic Tuffy AV Carts won't chip, warp, crack, rust or peel! Founded in 1959, Luxor is a pioneer in the AV industry. 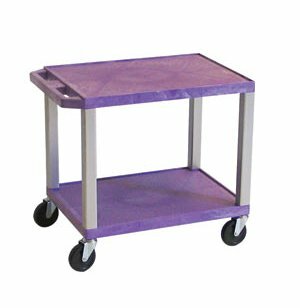 Catering to school, office and industrial markets, H. Wilson invented the "tuffy" line which includes innovative AV carts, equipment trucks and colorful educational furniture. 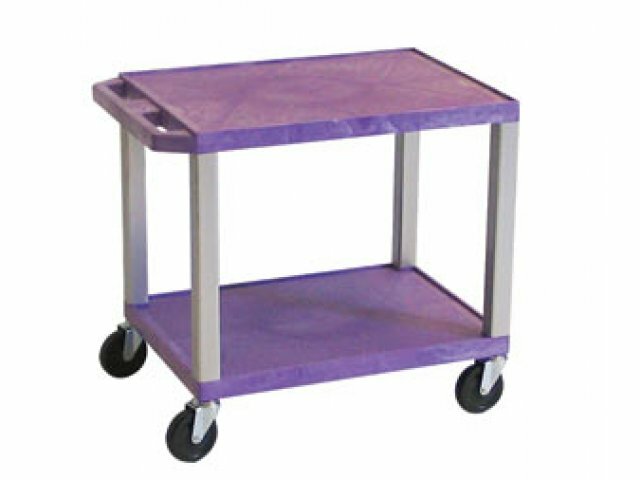 18" x 24" non-slip pebble shelf surface and lip edge protects your equipment. 4" swivel casters and square legs.